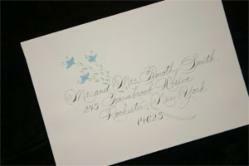 From the Hand of the Artist - Timeless Calligraphy, Painting and Engraving. 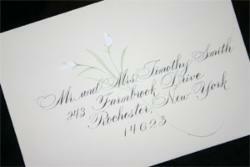 Specializing in Weddings! Our most popular styles of calligraphy are displayed below. 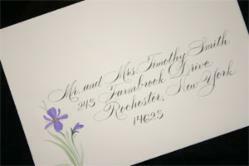 These styles can be used for any of your calligraphy needs. 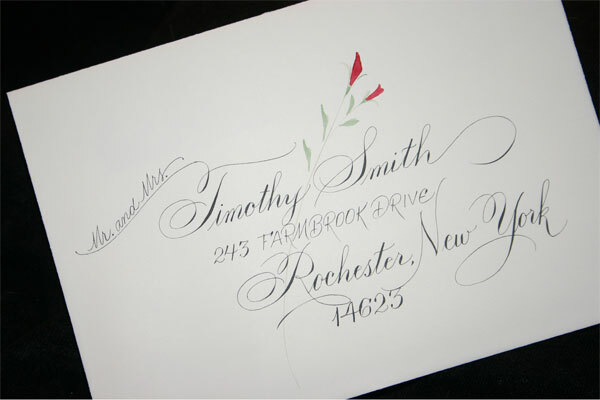 All calligraphy work is done by hand. 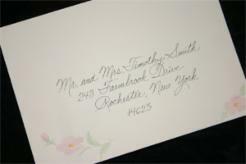 We may also be able to match the script on your printed invitations. 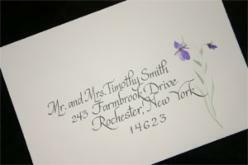 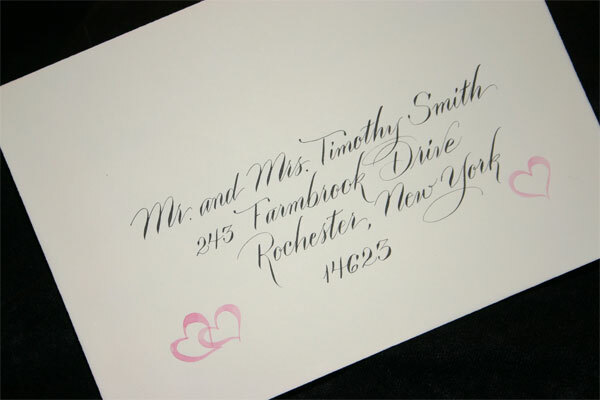 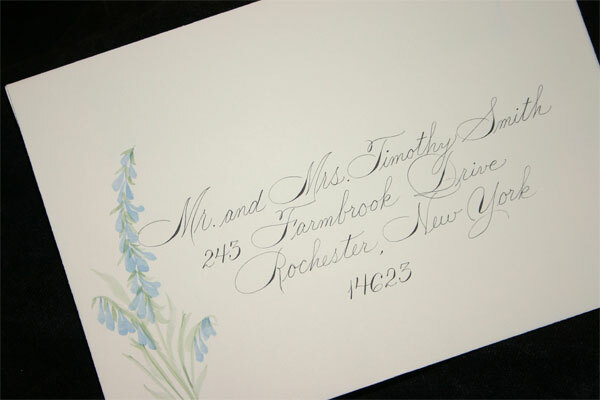 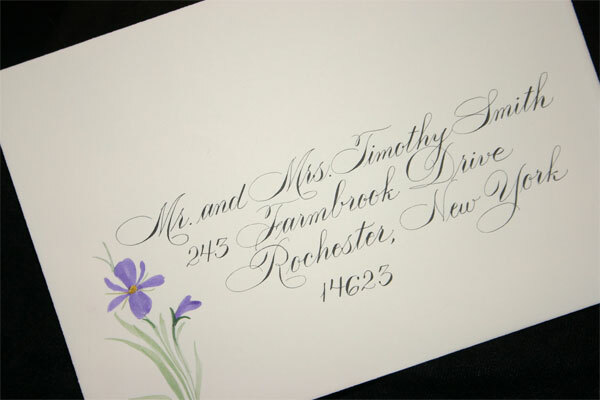 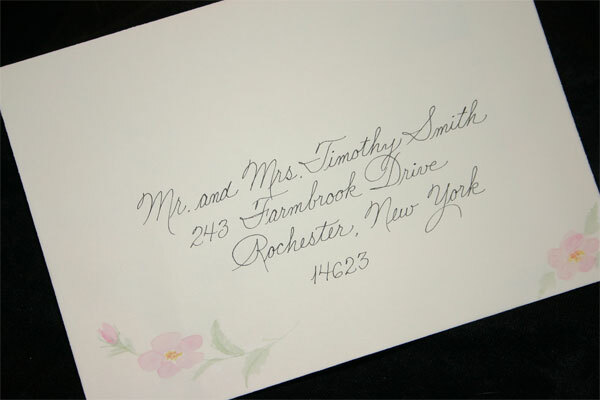 To View samples of envelopes, Invitations or Place cards using these styles, please return to the main "Calligraphy" page. "Menus, Programs, Wedding Scrolls and More" page. 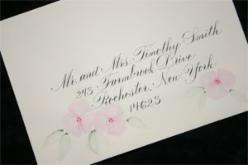 Place Cards, Menus, or Programs. 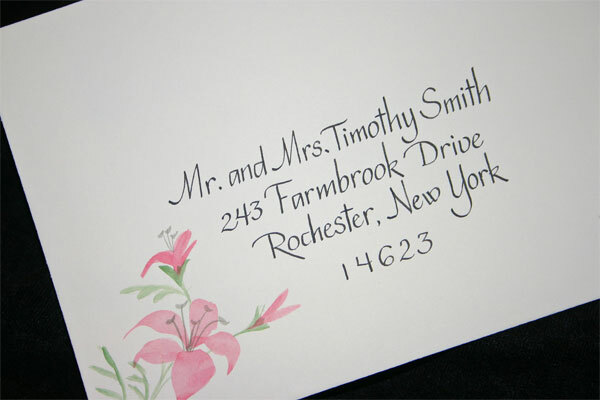 so every one is special and no two are ever alike. Engraver's Script with "Molly's Flowers"